For consumers, Black Friday means a chance to score some great deals and stock up before the holidays. For retailers, it refers to the point in the year when they can begin to turn a profit as the start of the holiday shopping season begins – and customer acquisition efforts play a leading role in achieving this goal. One of the companies that is probably looking forward to Black Friday the most this year is department store chain J.C. Penney. A years-long restructuring process has the company positioned to return to profitability through customer acquisition. CEO Marvin Ellison and his team are focused on delivering value for their customers with new product lines, private label brands, appliances and another key offering: options. Omnichannel marketing, including the strategic use of direct mail, is critical to J.C. Penney’s success and core to their strategy. In their most recent quarter, 40% of their online orders were picked up at the store – a key differentiator over online-only retailers. Last year, Ellison and his team resurrected the legendary J.C. Penney catalog for the first time since 2010, and this year, started using direct mail to target customers of other retailers as competitors closed their underperforming stores. The new mission at J.C. Penney is to help customers find what they love with less time, money and effort. No doubt that highly-targeted communication channels like direct mail are core to delivering on that promise! Another example of J.C. Penney’s second mover advantage is their trigger direct mail program, which lets them respond to key events that might create potential customers with a relevant mailpiece. Mailing in response to a competing store’s closing, for example, is part of a trigger program. 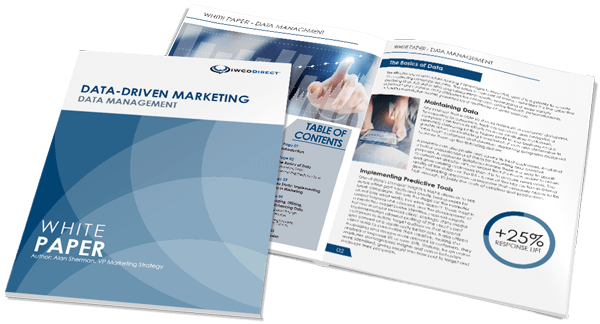 Trigger programs are cutting-edge in customer acquisition direct marketing and are exploding in all vertical markets. At IWCO Direct, we’ve learned that if you’re not utilizing multiple trigger programs in your retail marketing campaign, you’re missing a key opportunity to find new customers or save some existing ones. The amount of consumer data available and the resources we have to utilize it continue to expand at a rapid pace. Combined with even more sophisticated modeling tools, trigger programs put more targeting power behind customer acquisition efforts than ever before. No matter how hard I try, I have not been able to come up with one marketing channel that has ever gone extinct. Think about the barber pole, a universally-recognized symbol denoting barbershops; think about radio, TV or the catalogs mentioned earlier. Radio was supposed to supplant newspapers in the early 1900s; TV was supposed to supplant radio after that; new media is supposed to supplant TV before long. But I’ll bet anything that you’ve seen a newspaper, listened to the radio or watched television recently. Some marketing channels will evolve and some may shrink, but I can’t think of one that has gone away completely. But even with the staying power of those channels, none of them provides a better opportunity to speak directly to potential customers than direct mail. This was recently validated in the FinTech (financial technology) space, where financial companies are building technology-enabled relationships with their customers. For FinTech, direct mail is their largest channel for lead generation. The unique ways in which these companies use relationship-building direct mail allow them to be more nimble and cost-effective for customer acquisition than their traditional lending counterparts. As this technology-enabled revolution continues, guess how leading marketers are generating leads? Mobile apps are negligible; social media accounts for a few and other digital channels net a few more. Direct mail, however, is the largest channel for generating leads, pulling ahead of all other channels by a factor of five to seven times. When it comes to adding customers and beating your competitors, you should be looking for the best channels to serve the customer. Driven by a renewed passion for their brand and powered by smart use of direct mail in their customer acquisition efforts, J.C. Penney is steam-rolling into this holiday shopping season. Let’s just say I wouldn’t want to be competing with them this Black Friday. P.S. Now might be time to revisit your local J.C. Penney – I hear they have a compelling price protection offer that will undoubtedly find them some new customers and likely re-engage some old ones.